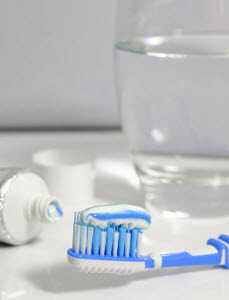 What is Fluoride & Fluorosis? And What are the Effects on Water Fluoridation on Teeth? Throughout the years there has been lots of talk about fluoride. People will talk about whether fluoride is good or bad. Sifting through the information so that you can form your own opinion can be exhausting! Smile Reef have put together some details about fluoride for you today so that you can know exactly what the debate is about. Before we dive in we thought a definition of fluoride would be good. Fluoride is the negative ion of the element fluorine. Fluorine is the chemical element of atomic number 9. Wikipedia states that “it is the lightest halogen and exists as a highly toxic pale yellow diatomic gas at standard conditions.” Fluorine is used in refrigerators, toothpaste and rocket fuels. Trace amounts of fluoride are found in air, soil, plants, rocks, fresh water, sea water and many goods. Fluoride is essential to keeping your bones and teeth hard and strong. About 99% of the body’s fluoride is stored in bones and teeth. Fluoride is naturally in almost all water supplies. Having the right amount of fluoride in your water is proven to protect your teeth. The federal health officials recommend that the best of amount of fluoride of water is 0.7 parts per million. Fluoride being added to water has been debated for years. Health care professionals are in support of water fluoridation to help prevent tooth decay. If you are not sure if your child is getting enough fluoride Smile Reef can help you determine whether their fluoride levels are sufficient. If your child needs fluoride supplements we can recommend some. Evidence has shown that water fluoridation is the most cost-effective way to prevent tooth decay and help build a healthy community. Most cities show that for every $1 spent for water fluoridation saves $38 in dental care. The state of Texas saved $24 per child in Medicaid expenditures because of the cavities that were prevented by water being fluoridated. If you have high fluoride concentration you can develop a condition called fluorosis. Fluorosis causes faint, white specks on your teeth. Most cases are mild. Mild fluorosis does not affect the health or function of the teeth or cause pain. In an effort to reduce fluorosis the CDC proposed in 2015 that the water fluoridation level be 0.7 parts per million. The main issue for those that are opposed to water fluoridation is that they feel that it is taking away their right to choose what they are consuming. They also state that water fluoridation has not been proven to be the link in improved dental health. They believe that other factors that are not being taken into consideration that could also be affecting those numbers. Here at Smile Reef we believe the benefits of fluoride will help your child with their oral health. If you have more questions about fluoride you can ask Dr. Jensen at your next visit. If you would like to opt out of fluoride treatment for your child the choice is always yours! 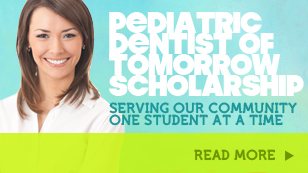 Contact Smile Reef for all your pediatric dentistry needs.